Appraisals: a necessary evil, which if you play your cards right, may give you a slightly bigger slice when the bosses carve up the bonus pot. Yes, a cynical but not completely unfounded view of the annual appraisal system - a system which at its worst can be a demotivating and unpleasant experience for everyone. It should be very different: a way of improving rather than judging individual performance. One thing it should never be is a surprise. The annual chat with your line manager is not the place to hear for the very first time how well – or not so well – he of she feels you have done over the last twelve months. On a personal level, I regard it as a major perk of running my own company that I no longer have appraisals. I used to get butterflies in my stomach and have at least a couple of nights of disturbed sleep beforehand. I don’t want anyone else to feel the way I used to, so I’ve sought out and collated what I think are the best techniques used by the most enlightened companies. I hope adopting these methods makes me a better manager, and also fosters a culture in which my colleagues feel able to give me open and honest feedback. In that way, hopefully, everyone continues to develop and improve. Isn’t that, after all, the whole point of appraisals? And, what’s more, it’s good for business. Don’t wait all year (or even half a year) to give and ask for feedback. It’s never pleasant to be caught unawares with comments about things that happened months before. Equally, waiting until the formal appraisal to give praise feels like a wasted opportunity to capitalise on goodwill and momentum. Don’t measure people on a bell curve. Putting everyone into one basket for the sake of ease of processing does nothing for motivation or commitment. Instead, it pitches people against each other, knowing that a good review depends on manipulating the system to cherry pick and reward those destined for great heights. Don’t become a slave to numeric Key Performance Indicators. Yes, objectives are important, but numbers never tell the whole story. Instead, focus on the narrative and heed words rather than numbers. Do instil a culture of openness and non-judgment in the team. This encourages people to share feedback with each other frequently and grow not only closer as a team but also as individuals. 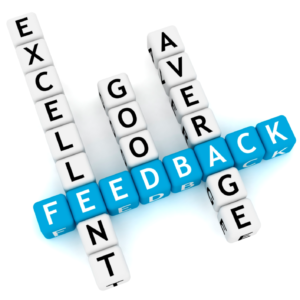 If you’re a manager, do encourage open feedback on your own performance at the end of each project. Embrace feedback as a form of well-intentioned learning points rather than a personal affront and learn to take yourself less seriously – we all have room for improvement, even as leaders. Consider introducing individual development plans – objectives that are based on the strengths of the individual performer, setting goals that continue to develop them as a professional, regardless of how they compare to others in the team. This will ensure the team continues to improve and work together. Many organisations have already shifted to systems that acknowledge individual performance and development needs. The only thing remaining now is to cultivate a work culture that supports these behaviours – it’s no good if it’s all just a paper exercise. An inclusive culture of mutual respect: a team culture that values our individual differences and experiences and encourages us to utilise them as part of our working lives will make assessment and giving and receiving criticism a routine matter. We need to take the fear out of feedback.